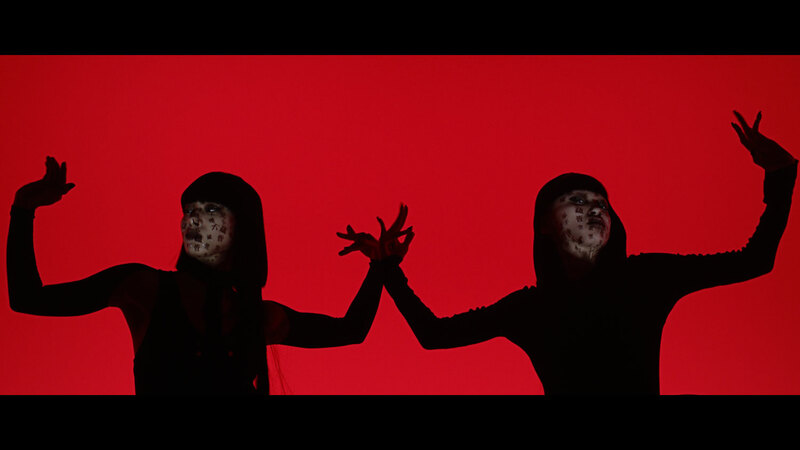 Nobumichi Asai and his team at WOW team up with the Ishikawa Watanabe Laboratory and dancers AyaBambi for a first with a state of the art projector and high-speed sensing. Back in 2014, when Japanese media artist Nobumichi Asai‘s real-time face-mapping video Omote hit the internet, it quickly went viral. At over 7 million views and counting, it features a model’s face transforming into a canvas for a series of surreal and captivating state of the art animated masks, all done through light projection. Morphing from cyborg to isometric patterns to a reflected surface that looked like liquid metal, all expertly mapped to the contours of the model’s face. Now Asai and his team at WOW have created their newest face-mapping project. It’s another groundbreaking work, again using real-time face tracking and projection mapping, but this time bringing in an advanced 1,000 fps projector and ultra high speed sensing. The project is called Inori-Prayer and is a collaboration with the Ishikawa Watanabe Laboratory at the University of Tokyo and the dancing duo AyaBambi. 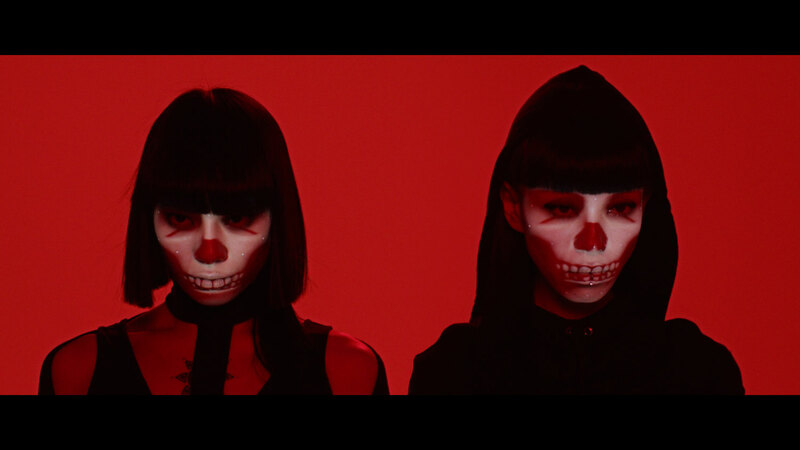 AyaBambi are used as the canvases for this piece. Set to music the pair perform a choreographed dance routine while their faces begin to stream with black tears, turn into skulls, then freakishly grinning faces inspired by Noh masks, along with a variety of other designs and patterns. The projector, developed by Ishikawa Watanabe Laboratory, was crucial. “The result is very dramatic, [so] projections can follow much higher speed movements with greater accuracy allowing for more artistic expression,” notes Asai. The team also adopted a new approach for the projection designs themselves: a projector that doesn’t produce color. 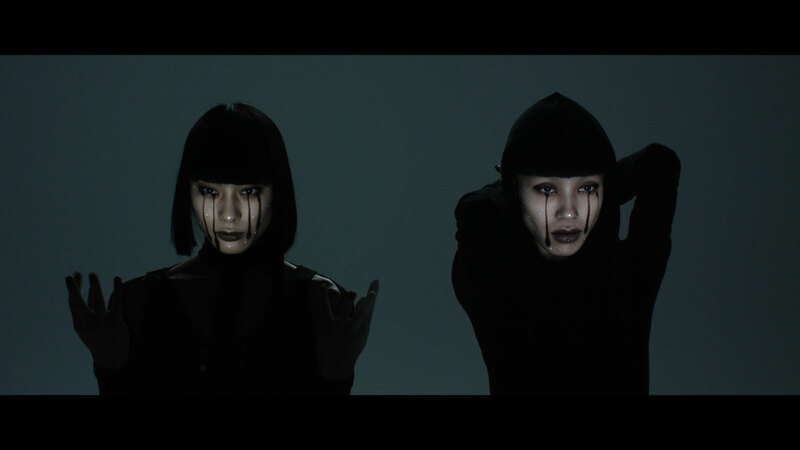 Instead of projecting “makeup” as it were, Asai notes, they played with light and shadow. Sound familiar? He says it’s a makeup concept and technique known as shading, which allows you to sculpt the face using shadows. Asai worked as creative and technical director. CG director Shingo Abe from WOW completed the visual production and programming. Aya Sato was the choreographer, while the Ishikawa Watanabe Laboratory made the project into a video. The result, using such a high speed projector combined with the high speed sensor, means the visuals are indistinguishable from the faces. There’s no discernable lag, and it also means every second counts. The making-of video notes that it took three months of trial and error to reduce the tracking speed just a few milliseconds. But it made all the difference. Find out more about the work of Nobumichi Asai at his website here. Find out more about WOW’s work here. You can see more of AyaBambi’s performances at their website and keep up with the work of Ishikawa Watanabe Laboratory here.